Golf cart buyers! We have come to your rescue if, you have a little or no knowledge about golf carts. You can take advantage of this article as we have mentioned some tips that are always missed by most of the buyers. What are the extra charges you have to pay for the charging of the electric cart? What is the Maintenance cost of both the carts? Check for the warranty period. Whom to buy from a dealer or a private party? As some of the resorts and communities allow only the electric golf cars hence, you are not left with a choice to make. However, if your campground allow for both the carts, you need to take a decision based on valid information. One thing that, you should see in advance is- are they making you pay any additional fee for the electric carts. Unfortunately, we can’t provide you with a straight forward answer to – Which one is better, Gas or Electric Golf Car? That is why, both the cars are available in the market on the same scale. If we term them with their longevity, then the truth is that, both of them have equal life if they are maintained correctly. If you are going to the E-Z-GO, they are more durable because of their quality frame. Quality frames do not cause rusting. Manufacturers have a shortage of used gas carts so, they are converting the electric cars into gas carts to keep up with the demand. If going for gas cars, we suggest you to keep in mind the maintenance as, there are chances that it will break down. Get a real knowledge of the electric car before buying and get prepared in advance to go for its servicing. However, if you know of somebody having a good understanding of gas motors, then you can save some bucks. You will get three different voltages available in the market- 6,8 and 12. 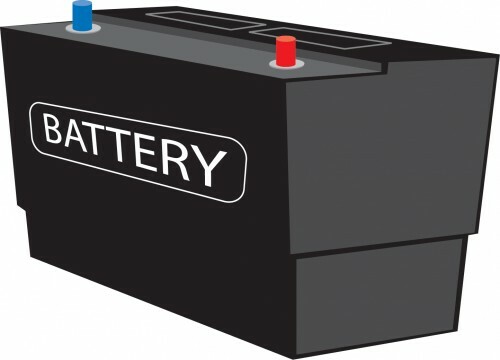 Six 6 volt batteries or six 8 volt batteries or four 12 volt batteries will provide you 48 volts operating system. Special deep cycle batteries are used on golf cars. If you are not aware of the voltage, check your batteries. Don’t mess with the batteries. Instead of using 4- 12 volt batteries don’t use 3 -12 volt battery else, you will be left frustrated and disappointed. It will even cause wastage of both your time and money. Use the recommended battery only, and it should be followed strictly. For a better knowledge of the battery care, you can take help from our website’s section of battery care. Go for the 48 volt cart instead of the 36 volt cart as, it will run twice as long as 36 volts. It will give you less charging time and longer run. Unlike the gas golf car, your electric cart will need to sit for getting charged. As they have deep cycle batteries, it needs to be charged the full night. Because, the gas car will run until the gas tank doesn’t get empty. You will get an average of 20-25 miles per charge, which may cost you approx. $10-20 a month. There have been many advancements in the golf cars since the last decade. They have been automated, with about 50 moving parts and pleasant driving experience. IQ Models, one of the cart models of Club Mahindra have the capacity of 19.8 mph because, most golf cars are limited to 12 MPH. Science says more lead in the battery means more charging capacity of the battery and hence, more running time. Thus, you get what you pay for.For example, cheap batteries like Sam’s club battery undoubtedly have lesser lead than costlier batteries like Trojan battery. When talking about weight, Sam’s club battery will weigh around 15 pounds lesser than Trojan battery. Thus, it will give lesser run time and will provide lesser power to electrical components. Another bad thing is – cheaper batteries strain electrical components more, thereby making them wear faster. These batteries have a lifespan of 1 to 3 years, whereas costlier batteries have the lifespan of 7 to 9 years. When we talk about cost to the user, cheaper battery will cost you around $320 whereas costlier battery will cost you around $750. 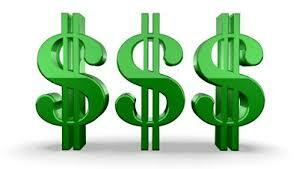 But wait, you will see how cost will get covered due to its high functionality. For example, in 30 years, you will buy 3.3 Trojan batteries, which adds up to total of $2475 whereas in the same time period, you will have to buy 15 Sam’s club batteries, which adds up to total of $4800. Thus, costlier batteries are a better buy. Other brands of batteries like Interstate, Deka, and US have lifespan of 5 to 6 years and Crown battery has lifespan of 7 to 9 years, just like Trojan, but these are now leading the market as being the most long-lasting batteries. Batteries of all major manufacturers come with 1-year guarantee which is pro-rated. This warranty does not cover wrong maintenance. Thus, make sure to check them and soak them in purified water after every 2 to 3 weeks. This is because if the battery is run drily can shorten its life by half. Also, grease the front end and keep on checking the rear end at least twice or once a year. You must also clean and tighten the electric cables and posts and keep them free from corrosion lest your cables go weak and break, leading to cart not running. Chargers must also be repaired occasionally as they can suffer from wear and tear too. Most of the chargers today are fully automatic, thereby discontinuing charging when fully charged. Golf cars use special chargers which have matched output to golf car’s electrical system. Thus, never should a charger be used that is not made specifically for golf car. With time, gas carts have changed tremendously. Earlier, these used to leave behind a blue trail of smoke going down the fairway as these backfired and sputtered, but now, these are reliable and quiet. 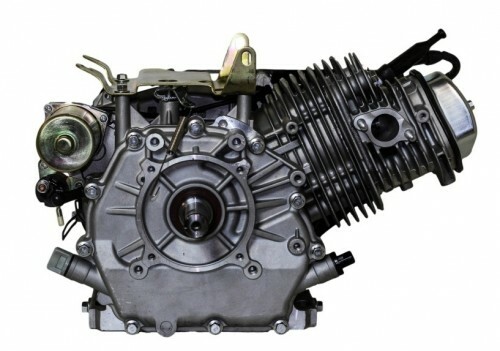 This is because most of the major manufacturers today use a 4-stroke engine with unleaded gas in gas tank and oil in crankcase with no need to mix the two. These carts average about 7 miles to the gallon. These have, thus, become very cost-effective now. For example, if you use your cart just on the weekend at a cottage or campground, you will go through just 102 tanks of has a summer. So, at $5 per gallon, you will spend between $35 to 70 only. And, if you are an occasional driver, you don’t even need a full tank a summer. For heavy drivers, 3 to 4 tankfuls will be needed. On average, tune-up and oil charge once a year means just $30. For better upkeep, grease the front end, check the transmission level, and check belts for wear and tear. Once a year, tune-ups for both Gas and Electric models are necessary. Annual inspection will include cleaning and also checking for any wear and tear, so that timely fixes can be done. This once-a-year ritual can save you many pains in future and will also be light on pockets. What do you need to do with your Gas & Electric cars annually? • Tighten front suspension and check for wear on springs, bushings, spindles, etc. 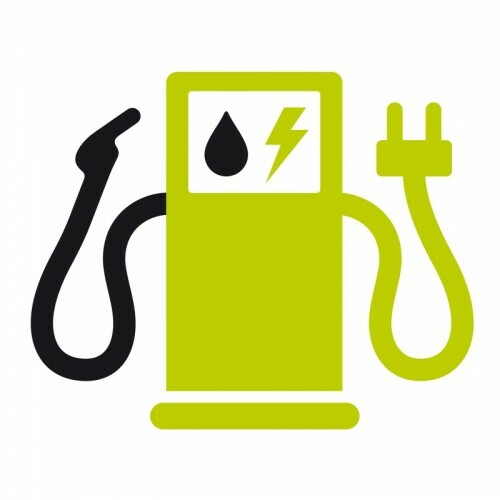 What do you need to do specifically to your Electric car annually? What do you need to do specifically to your Gas car annually? The condition and the age of the golf car determine its value. Age of the car is inversely proportional to the value. Electric golf cars have less value than gas golf cars. One more thing that decides the price and that is Battery age. However, we cannot say that a well maintained 10 years old car could not have more value than 5 years old poorly maintained car. The overall condition of the car is considered while finalizing its value. Body, tires, canopy, curb side, oil leaks all are considered. Another big factor is the number of rounds on the car. Cars from southern states have lesser command on the money on the resale than cars from Northern United States and Canada, usage being the reason. Southern states’ cars will have 2-3 times amount of round than a Northern states’ or Canadian Car. Will the car doing 150 rounds a year have more value or the one doing 450 rounds a year? Simple rule of what you see is what you get is followed here. You have to put efforts from your end to make the least expensive deal on these cars. A dealer must repair the framework. There shouldn’t be any wear and tear on it. More things to repair mean more money to put in, but the more golf car you get. From whom to buy, a dealer or private party? This question taunts many people’s mind. If you possess good knowledge of the golf cars and the mechanics of it, then go for a private party dealing. If you are a Lehman in this case then go for a dealer to make the deal for you. It is suggested to contact a reputable and authorized dealer. All you want is to have a good deal, whether it is from a dealer or a private party. Beware as a buyer! Be a smart customer. 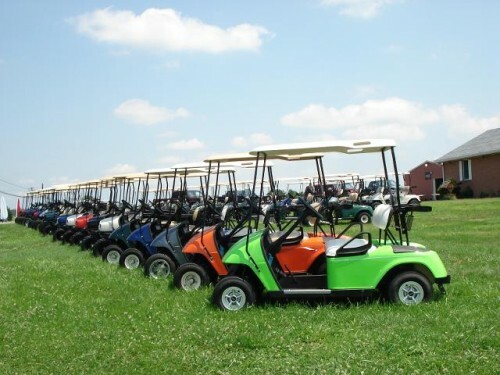 A legitimate and an experienced golf cart dealer will possess good knowledge of the vehicle and have trained staff, maintenance shop, retail facility, large inventory of golf carts and accessories. They won’t have any problem accepting credit cards and offering financing options to the customers. An authorized deal will have full sales and services as a backup and technical assistance for the factory. The factory assists in many tasks of the dealer. Not all dealers are authorized. They earn the ‘authorized’ status by following and sticking to the rules and policies of the manufacturer for their retail facility norms, inventory or parts, carts and accessories, shop facility norms and mechanical stuff. They send the mechanics on training every year. An authorized dealer also carries liability against insurance theft and loss. A good dealer spends a lot in facilitating the shop, employees, and inventory. You can judge them by checking the parts department. Such dealers come pretty handily when you need urgent repair. As a user/owner/operator, you want your cart running as quick as possible. Look for a dealer that has all this stuff to offer and offers assured service which you can trust. These small businesses keep the money rhythm going on in America. So, they need to serve well and maintain their business. It depends on the dealer whether they offer “service after sale”. Do check that. Think about it that if they do not service the cars what is the surety that they have serviced the current car you are buying from them? If you buy a cart from them and in case if it breaks down, then these dealers are likely to put the blame the previous owner of the cart. Check whether the dealers are in operation all over the year or not? Their week holidays, timings, everything. Do they offer any kind of assistance in odd hours too? All these things matter a lot when reputation of a dealer is considered. The owners are on the cart on weekends or holiday season, so the dealer should be available if your cart needs anything urgent. Also, check whether they have road service too or not. It is the machinery that they are chances of break down in the middle of the road. Hopefully, this doesn’t happen to you but what if it does? Will the dealer come to pick your vehicle and take it to his service station? Customization is the cleanest thing one does with a golf cart. People do it to make the one-in-a-million golf cart for them. Aluminum wheels, big tires, body kit, loud paint, chrome accessories, the list of custom options is endless. It can go way expensive than you can think. Small size of the golf cart doesn’t mean the price for customization will also be small. A custom job can make your cart flashy and fast, and money doesn’t have any barrier in it. Flashier means more money and faster means expensive. New batteries, motor, shaft work, there are a lot of parts that are installed to upgrade the car and all this stuff is expensive. When it comes to change the outlook of the cart, creativity never ends there. The paint job, artwork everything is done on several fun and creative levels. It doesn’t matter whether you are buying a hairpin or a golf cart, you need to be careful and use your common sense. 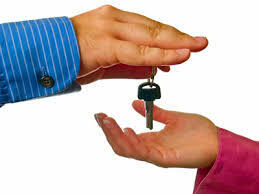 Proceed cautiously to crack a safe deal with the dealer or seller.